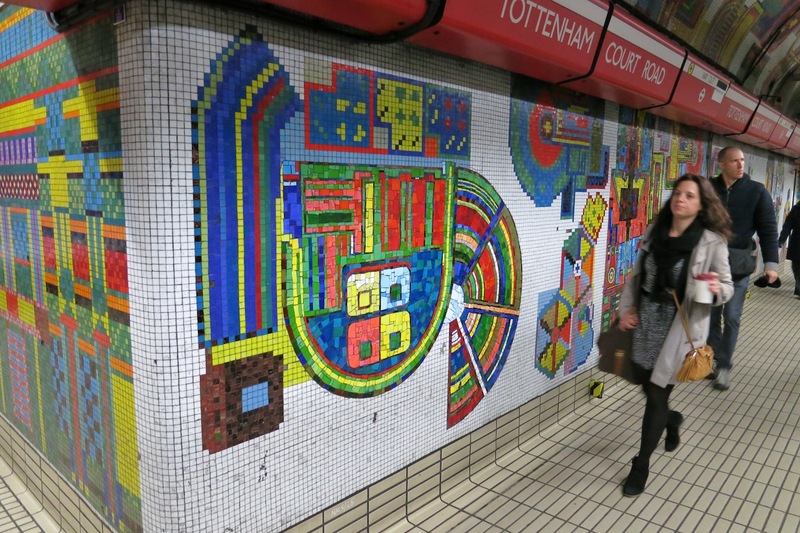 Another metro station boasting mosaic decorations is London’s Tottenham Court Road, one of the original Central line stops. 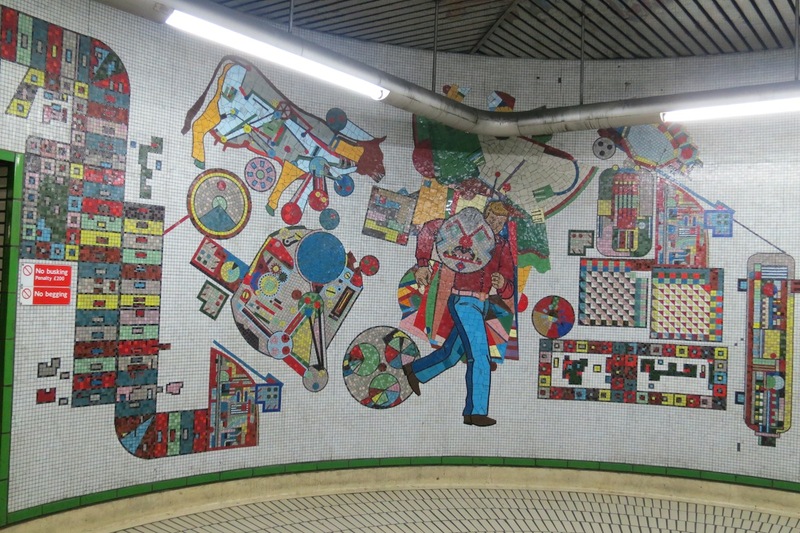 Designed by Scottish sculptor and artist Eduardo Luigi Paolozzi, the 1,000 square metres of mosaic in the station illustrate elements and scenes of everyday life in the city. Whether the music shops of Tin Pan Alley, or the relics of the British Museum, or the fast food chains of Oxford Street, they’re all in Paolozzi’s images, either in abstract or ironic form. The mosaics were installed in 1980 and are an internationally recognized feature of the station, much loved by the people and art critics. However, several of the mural mosaics are to be removed in line with the renovation works that ought to undertake at the station. The rebuild promises to be sensitive to Paolozzi’s work though, which happens to be his most important one.